Retired August 1, 1968. Died December 30, 1979. Brigadier General Pinkham Smith has a long and distinguished record in strategic bombardment. General Smith began this association in June of 1941 with a training unit at Barksdale Field, Louisiana. Early in 1944, he saw action as a B-29 pilot with the Twentieth Bomber Command in the China-Burma-India Theater. In a quiet, but highly efficient way, he quickly became assistant chief of tactical operations for the Twentieth Bomber Command and flew 140 hours of combat before the Japanese surrendered to end World War II. General Smith bombed targets in Tokyo and Bangkok while flying combat missions in the Far East. The General was on Guam with the Twentieth Air Force when the war ended and he was selected along with several other outstanding young officers for Operation Crossroads, the Air Force's continuation of atomic tests. When General Smith became associated with Crossroads, he left Guam to become detachment commander of the 509th Bombardment Wing at Kirtland Field, Albuquerque, New Mexico. The detachment tested practice atomic weapons on bombing ranges around Albuquerque. Testing was completed in April 1946 and the General went back to Guam to become director of plans for the Twentieth Air Force. His father died in June of 1946 and General Smith went to the United States for the funeral services. Instead of returning to Guam, the General became senior air instructor for the New Hampshire Air National Guard. Upon completion of this tour, the General attended the Armed Forces Staff College at Norfolk, Virginia. 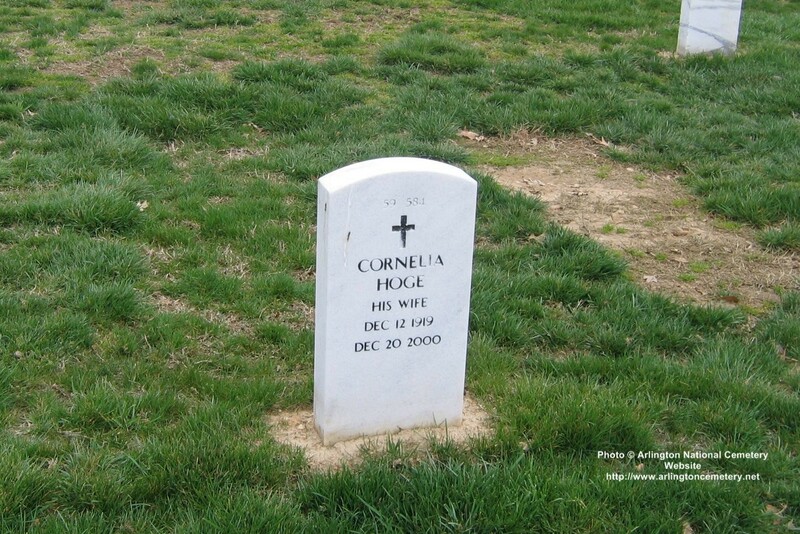 He was assigned to Headquarters Strategic Air Command, Offutt Air Force Base, Nebraska, on August 9, 1949, and served as chief of ground training, deputy director of training, and deputy director of personnel until July 1952. Upon graduation from the Air War College, Maxwell Air Force Base, Alabama, in July 1953, General Smith was assigned to the Alaskan Air Command, Elmendorf Air Force Base, Anchorage, Alaska, where he served as director of operations and commander of the 5039th Air Base Wing. Later he became deputy commander of the Tenth Air Division (Def). In August 1955, General Smith returned to the United States as base commander at March Air Force Base, California. He became commander of the 22d Bombardment Wing, March Air Force Base, on Februatry 11, 1956. On August 20, 1957, General Smith was appointed chief of staff for Headquarters Fifteenth Air Force, also at March Air Force Base. General Smith is rated a command pilot and has logged more than 4,100 hours of flying time. 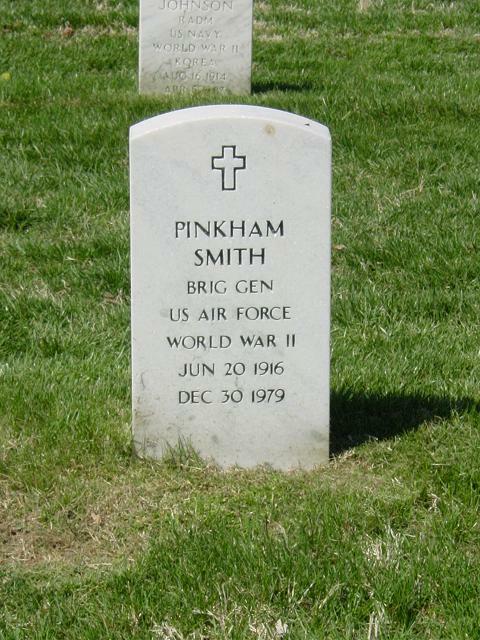 Pinkham Smith was born in Pelham, New York, in 1916. He graduated from Taft High School in Watertown, Connecticut, and attended Princeton University from 1933 to 1937. Upon graduation from ROTC at Princeton on June 20, 1937, he was commissioned a Second Lieutenant in the Field Artillery Reserve. After a brief venture into the business world which was punctuated by a 14-day tour of active duty with the Field Artillery, General Smith entered the Army Air Corps as an aviation cadet on June 20, 1938. Upon completion of primary and basic flying training school at Randolph Field, Texas, he graduated from advanced flying school at Kelly Field, Texas, May 25, 1939. Major Generals Hewitt T. Wheless, Joseph J. Preston, Paul S. Emrick and John K. Hester were his classmates at Randolph and Kelly fields. General Smith's first assignment was as a fighter pilot at Wheeler Field, Hawaii. General Smith wears the Air Medal and Bronze Star Medal along with seven other Air Force decorations. The Lydia E. Pinkham Medicine Company of Lynn, Massachusetts, was founded by General Smith's great grandmother and is still owned by his family.